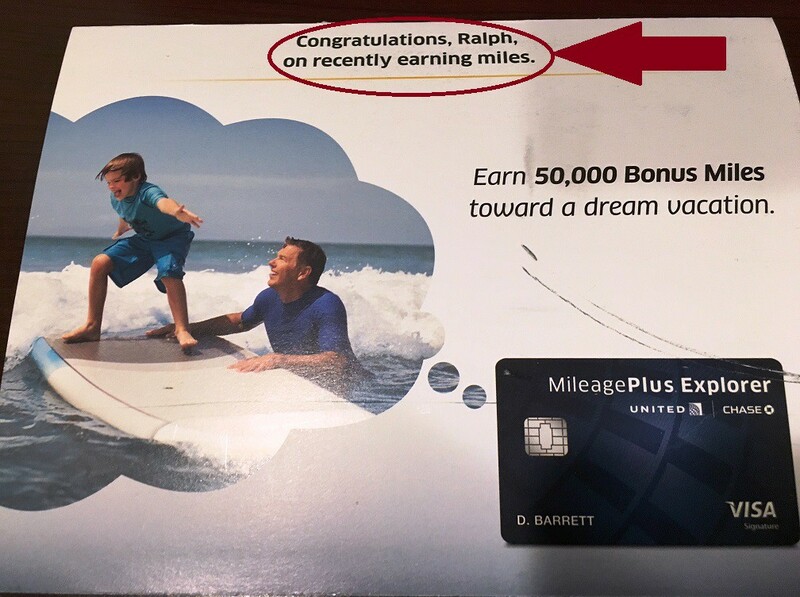 I posted last week about how I was targeted for a 50,000 mile signup bonus on the United MileagePlus Explorer card via email and how the offer link seemingly hasn’t expired even though it should have. To followup on that, the link still works but I think I know why. This week I was sent the following envelope via snail mail. Since I am still targeted for a 50,000 mile offer, that could explain why the link still shows me the offer. All of the terms of the offer are identical to what I received via email but do you see the interesting language on this mailer (hint: check out the circle and arrow). It specifically congratulates me for recently earning miles so does this possibly hold a clue as to why I was targeted for this offer? Let’s take a look at my recent activity. As you can see, I haven’t had much activity earning United MileagePlus miles with the exception of some random earning from shopping via the United MileagePlus Shopping mall. And the only two I’d consider recent are obviously just the two last transactions. My hypothesis is that earning miles via their shopping portal, mostly from 10/17, contributed to receiving a targeted 50,000 mile offer. It’s possible that lack of activity also contributed to this as someone who constantly earns United miles may not be able to trigger this targeted offer. If you haven’t received the signup bonus on the United Explorer card in the past 18 months and you haven’t had much activity earning United miles, you might be to get yourself targeted for this offer. The next time you do some online shopping consider using the United shopping mall to earn miles. 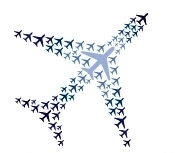 I’d also guess that earning miles from other means outside of flying such as crediting car rentals to United or even transferring 1,000 points from Chase Ultimate Rewards could work. Anyone else have luck trying this?